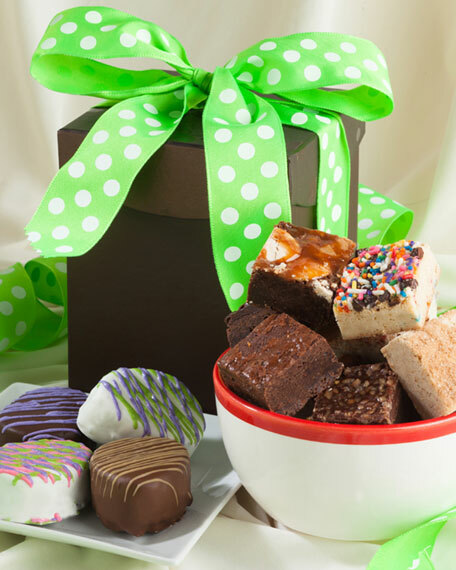 Assortment includes three chocolate-fudge egg-shaped brownies dipped in milk, white, and dark chocolate, one peanut-butter egg-shaped brownie, and ten gourmet baby brownies. Gift box tied with citrus dotted ribbon. For in-store inquiries, use sku #137932.